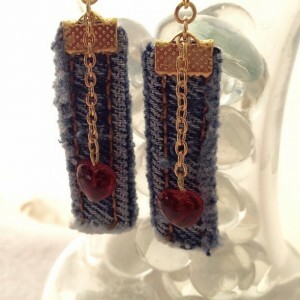 Denim Love Dangle Earrings Beautiful Mixed Media dangle earrings. 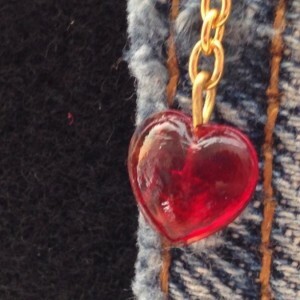 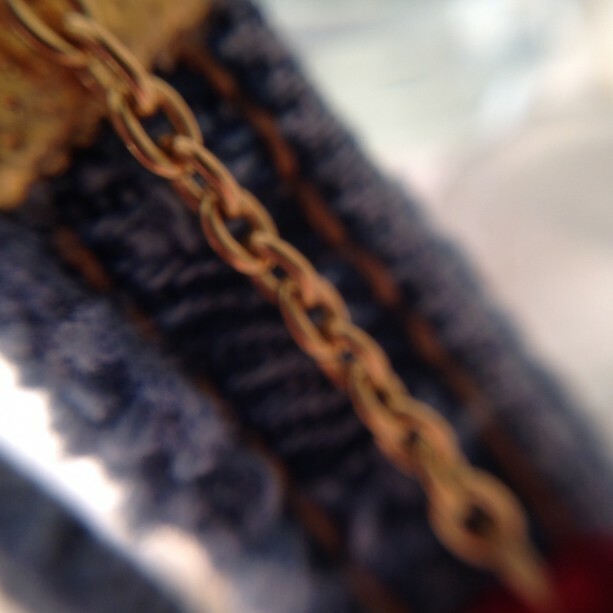 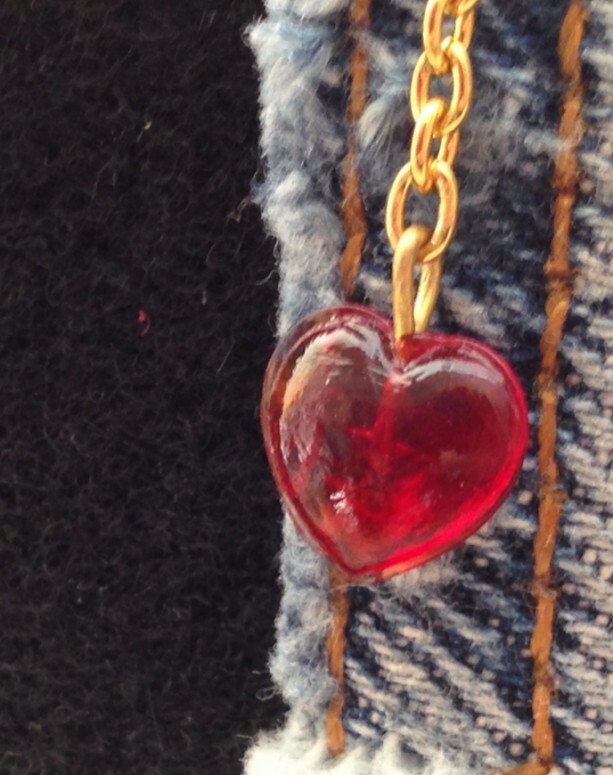 Made from repurposed Levi blue denim, gold plated hook earring wires, gold plated chain, gold plated ribbon ends and red glass hearts. 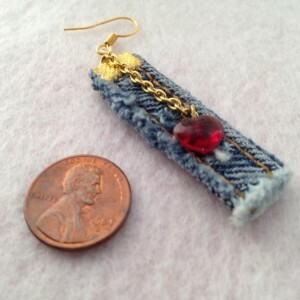 Earrings are approximately 2 1/2" inches in length. A unique casual look. 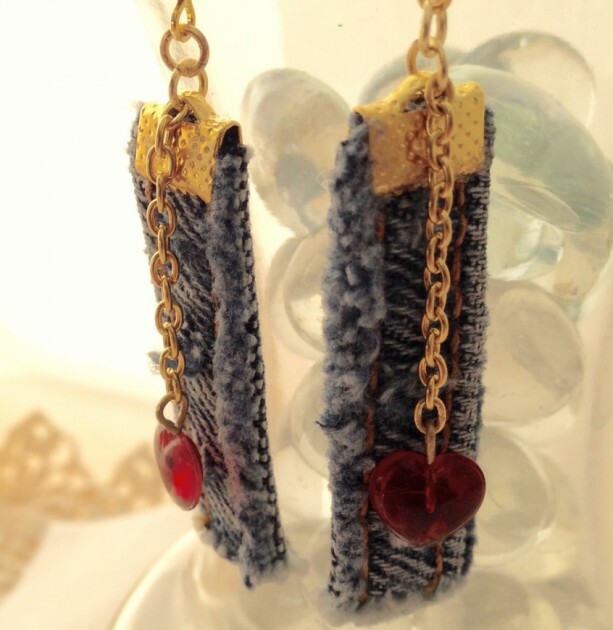 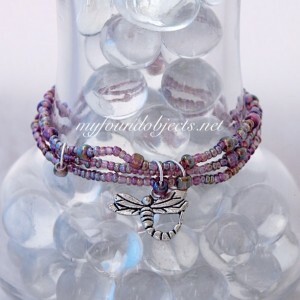 Perfect to wear on Valentine's Day or would make a wonderful gift.